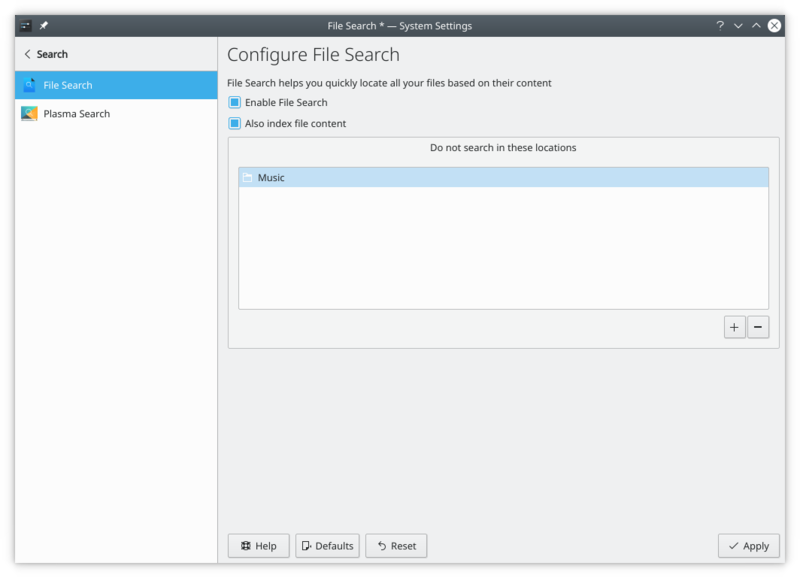 Baloo is the file index and search engine of KDE. Baloo indexes all your files and provides faster file search experience. However, convenience comes with some pain. It may slower your computer when indexing a huge amount of files. It may keep crashing when database is corrupted. We recommend that you read SDB articles before enable it. Start YaST. Search for package "foobar". Check the checkbox for install (green check). Click Accept button to start installation. Start Software. Search for package "foobar". Click the ideal package to open detail page. Click Install button. Start Discover. Search for package "foobar". Click the ideal package to open detail page. Click Install button. SDB:How to disable Baloo if you don't like or need it. SDB:Baloo excludes directories to reduce performance costs. SDB:Use balooctl command to start, pause or stop Baloo index process. SDB:Reset Baloo database when it is corrupted and keeps crashing.